Iranian-American Surgeon Younan Nowzaradan Engaged to Anyone After Ex-Wife Delores Nowzardan? 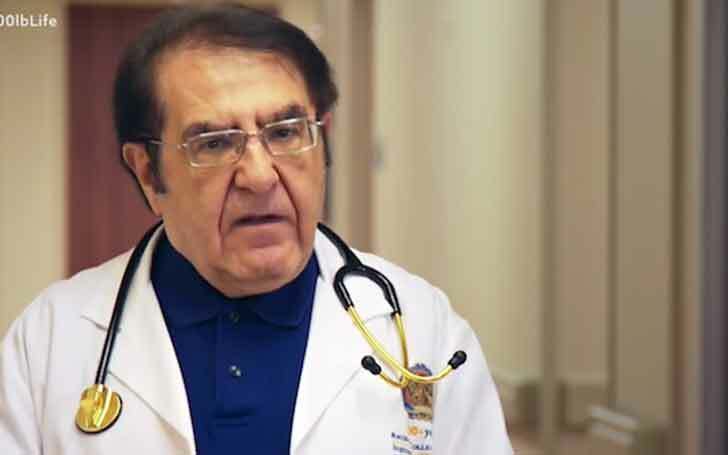 Younan Nowzaradan is an Iranian-American general and vascular surgeon, also known for his appearance in the TLC reality television series My 600-lb Life. Currently, in his mid-70s, Nowzardan was married to his wife Delores Nowzardan for 27 years before their divorce. Despite his massive success, the surgeon with $4 million net worth couldn't save his married life. Younan Nowzaradan is the father of 3 children with his ex-wife. But what about his current relationship? Is he engaged to someone or dating? Let's know. Younan Nowzaradan Currently Engaged or Dating? Well, Younan has kept his relationship and personal life details quite low profile since his divorce with his wife Delores. Even 16 years after the end of his marital relationship, Nowazaradan has tagged himself as single. No reports on his love life at present are out. Although there were some rumors regarding Younan's engagement with his girlfriend previously, the officialized news never emerged. Also, the University of Tehran graduate with a Doctor of Medicine is not reported to have gotten married after the end of his first marriage. It seems Younan Nowzaradan is busy with his work and since 2012, he can be seen in the TLC reality television series My 600-lb Life. The show is the documentation of an individual's journey of losing weight to a healthy level. Famed for his notable appearances on Half Ton Teen and World’s Heaviest Man Part II, Dr. Younan Nowazaradan is married only once in his life. The Iranian-American surgeon was married to his (ex) wife Delores Nowzaradan. Though not much detail on the former couple's marriage is out; they reportedly tied the knot in 1975. Younan and Delores welcomed 3 children including a daughter named Jessica. But the details on the rest of their children is undisclosed. Sources claim that Delores Nowzaradan performed secretarial work before her marriage but left the job to handle the family. However, after 27 years of marriage, Younan and Delores' married life ended as they divorced in 2002. The reason for their divorce is claimed to be Dr. Younan's priority towards work ahead of family. The update on Younan's ex-wife Delores is not out till now. As reported, the doctor of My 600lb Life was sued for medical malpractice in March 2018. Younan Nowzaradan was alleged to have left a 29cm steel tube inside a patient, who claimed that she was left in extreme pain after Dr. Younan performed her surgery. The incident created buzz back on September 11, 2015, when the patient (she) was rushed to the hospital after having painful traumas in her stomach. Later, the scans showed that a 29cm section of steel tubing and a portion of a stainless steel connector that had been left inside her. As reported, the lawsuit against Younan Nowzaradan asked him $200,000 to $1 million in compensation, however, Younan denied the allegations. As of October 2018, the case has cooled down.